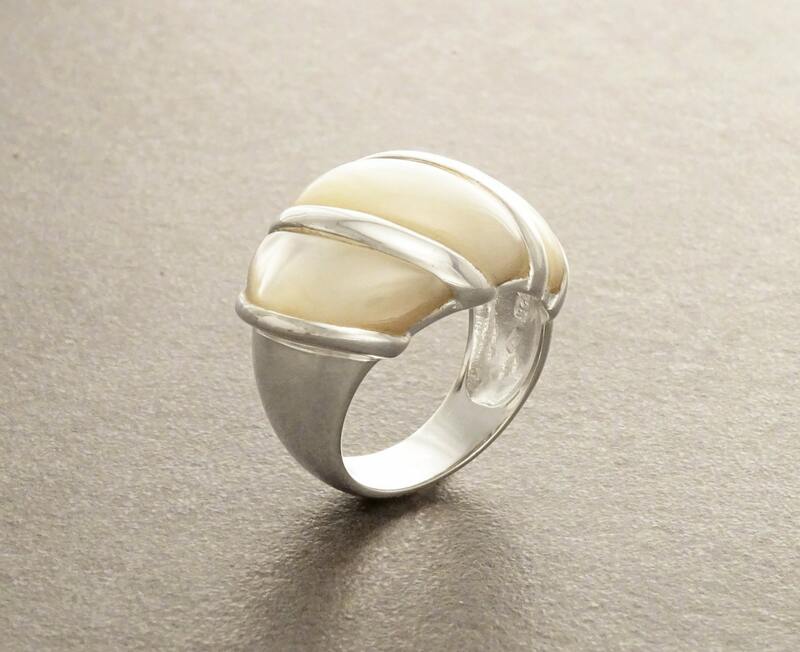 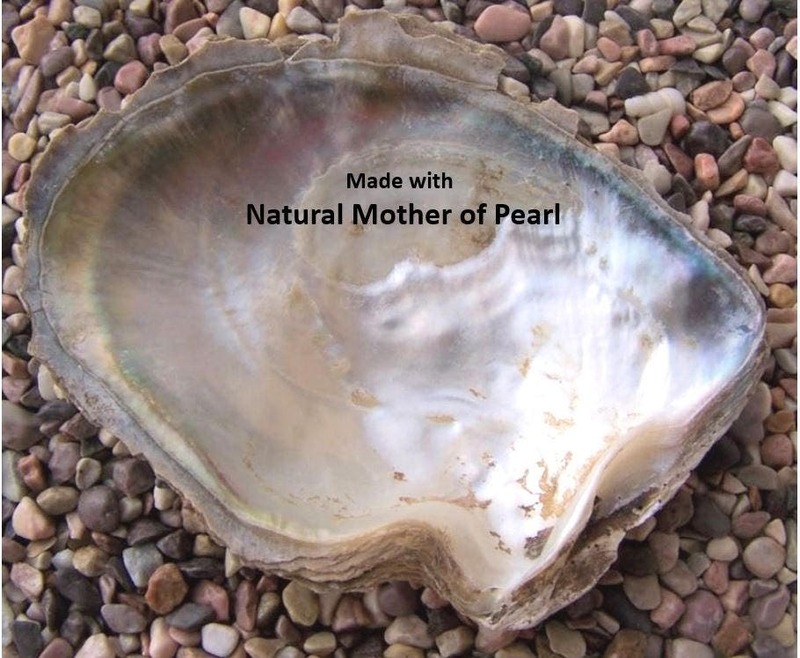 Ring features a 1.8 cm length and 1.8 cm wide Mother-of-Pearl. 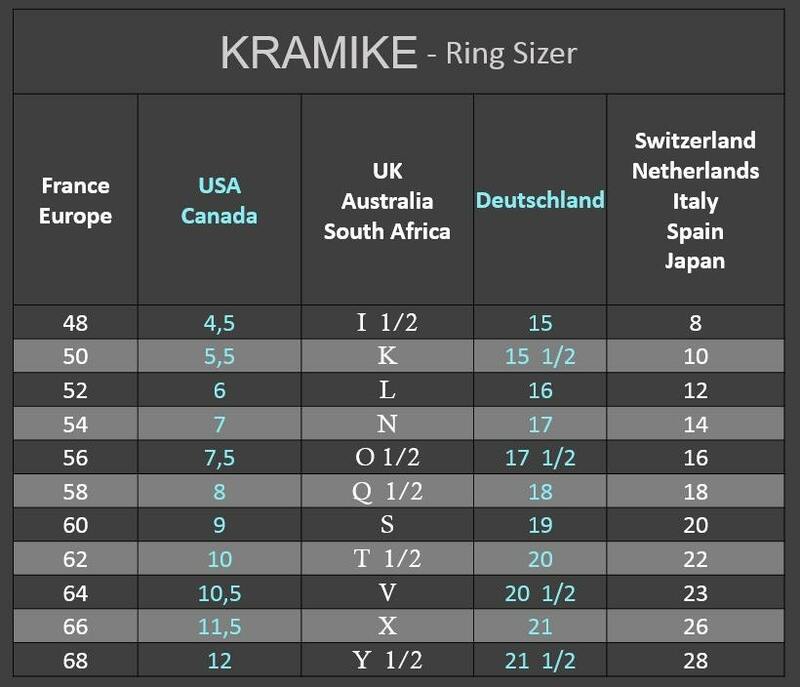 Average silver weight: 9.0 gr. 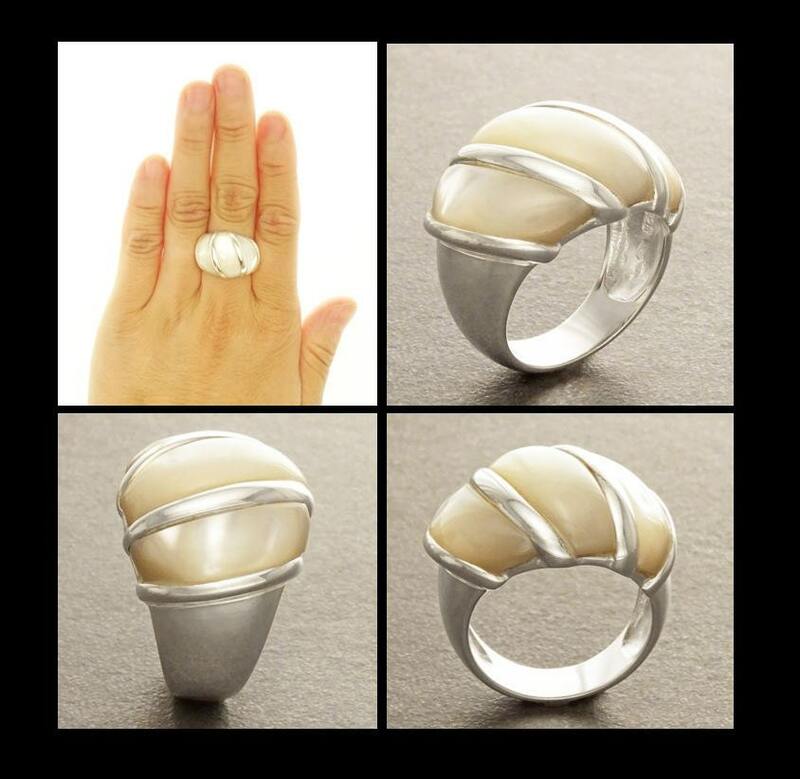 This domed mother-of-pearl ring is a new-age statement! 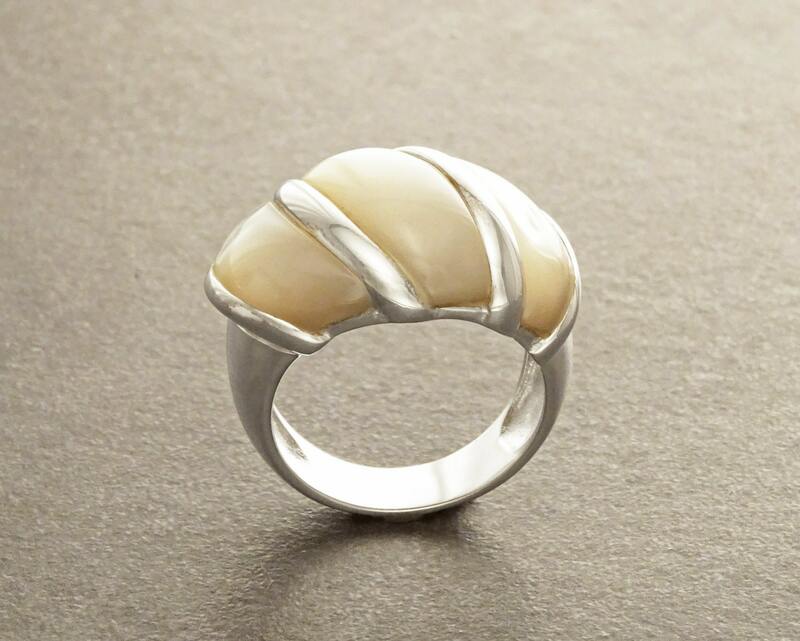 This ring is a definite conversation starter! 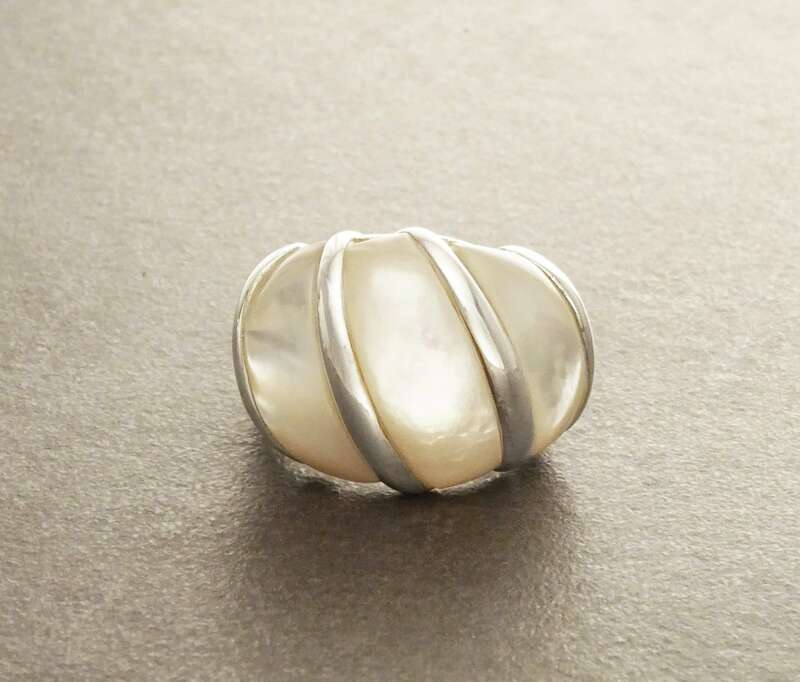 Que de beauté dans cette bague !